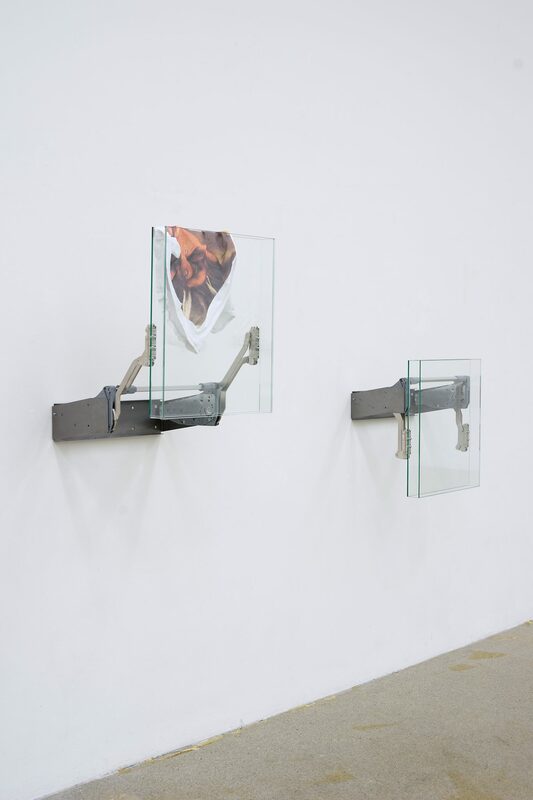 Manuel Burgener’s (* 1978, CH) installations, objects and images appear unfinished and precarious. 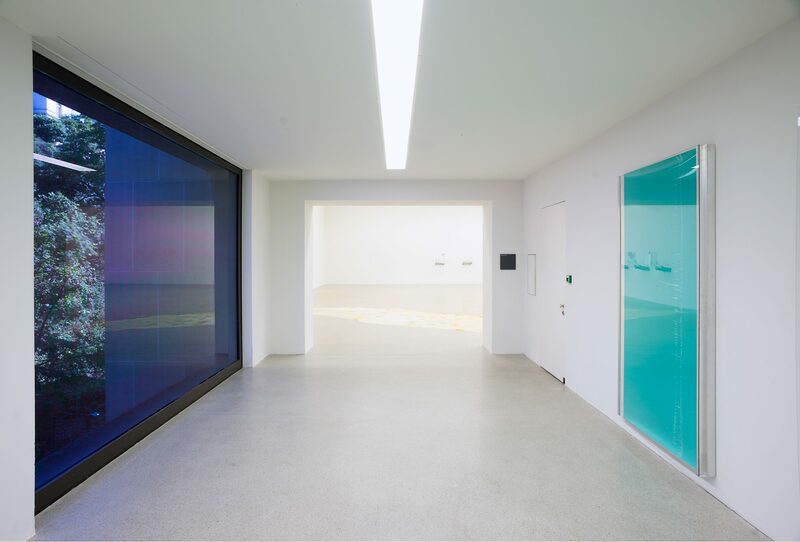 For his new installation spanning five rooms the winner of the 2018 Manor Art Award combines video, sound and space. Armed with two mobile cameras in a remote seaside house, the artist captured the temporality and fleetingness of the present moment over a period of twenty-four hours. The duration of the project corresponds exactly with that of the video, which runs continuously throughout the exhibition. Various positions and reflections produce a multitude of perspectives and thus elevate the medium itself to the subject matter. 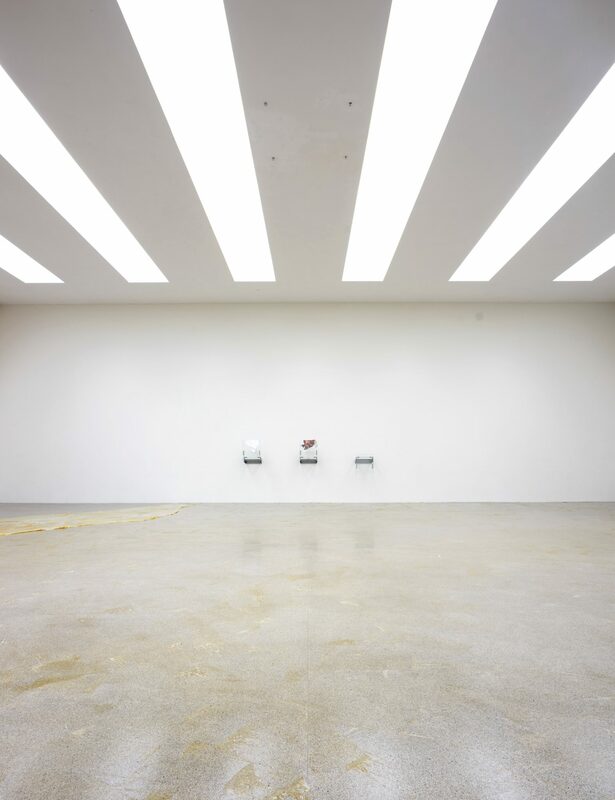 Held in a sober interchange, the artist thus reveals the camera’s movements that are normally kept hidden. Subtle shifts in the reception are also characteristic of the framed, large format photograms. The glass and the picture surface do not lie parallel to each other. On the photographic paper the reflections are visible but diffuse and at the same they can be seen clearly on the glass. 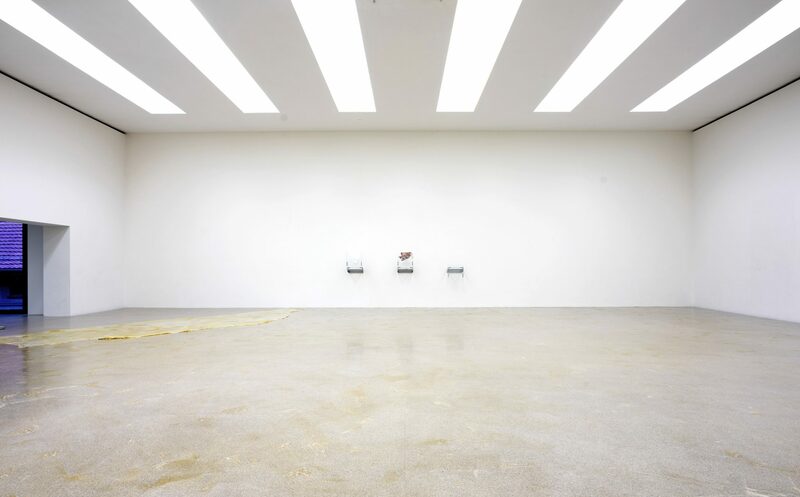 The artist determines the unmediated reaction to the architecture of the spaces and their connection with the new works only during the installation of the exhibition and thus allows himself a freedom that is characteristic for his working process. The video installation twenty four (2018) shows the banal course of a day of a young, evenly-tempered man. Constant rain, a fisherman’s house in Mallorca, the whirring of the air conditioning in the background. Comtemporaneity and monotony are combined in a seemingly endless flow. The trivial nature of the images is combined stoically with a steady layer of sound. 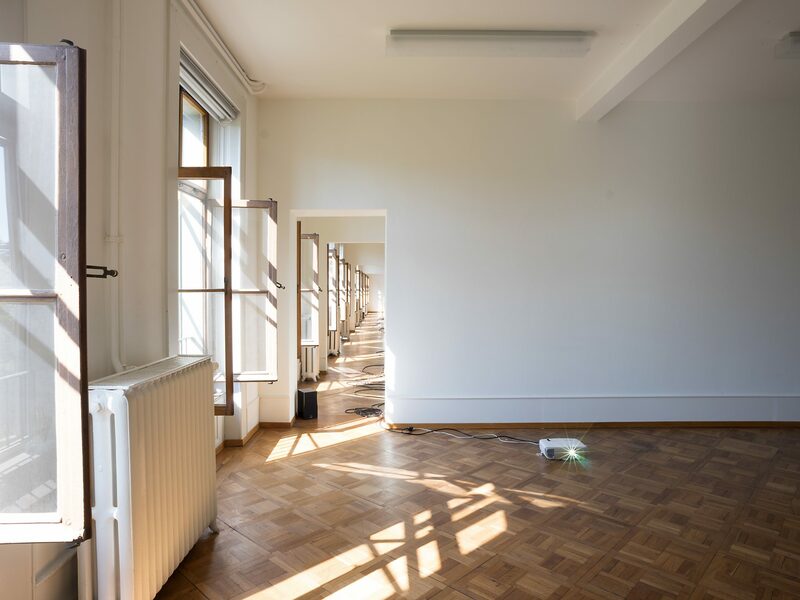 Separated across three rooms, in which cables, loudspeakers and video equipment lie on the floor and in the shopping trolley, in each of the two rooms at opposite ends of Parkett 2 Burgener has positioned a projection. 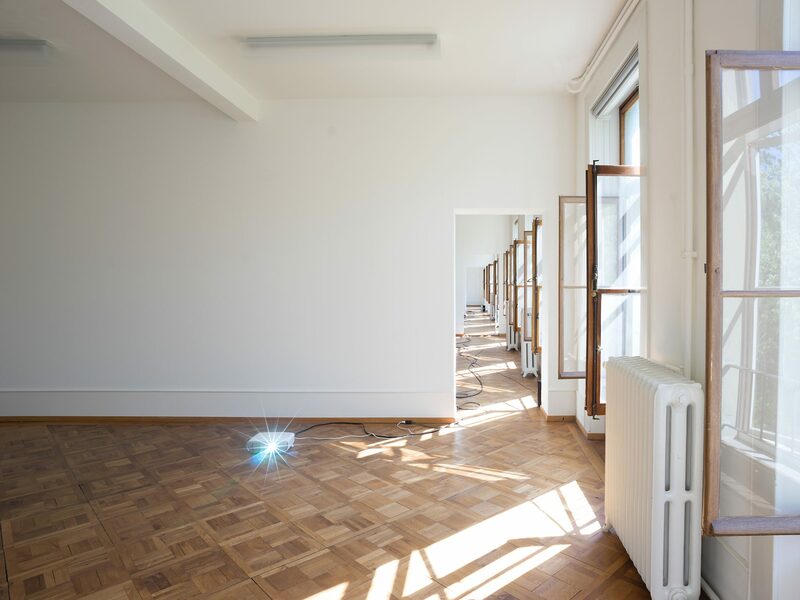 The source of the sound as well as the installation’s equipment are distributed through all five rooms ; the windows remain open during the course of the exhibition and, depending on the strength of the sunlight, daylight falls directly on the projection surface. 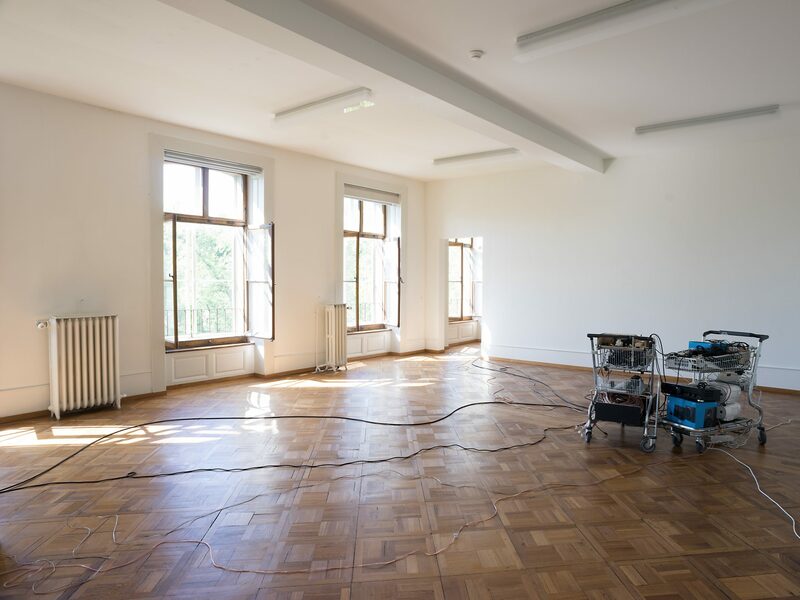 Burgener consciously pushes the work to the limit when, due to the daylight in the room and the duration of the video, it is no longer completely visible, thus drawing our attention to questions on a meta level. He stages video, sound, empty rooms and open windows as aspects of equal importance and clearly shows us how the camera can be transformed into an instrument for the recording and the extension of time. The video installation itself becomes an experiment in which we begin to question our own position in this staging. In the passage to the Salle Poma Burgener presents the three large format photograms Untitled (2018), mounted in aluminium frames. The white scratches, marks and shadings on the surface of the image don’t allow any conclusions concerning a recognisable motif, while the asymmetrical reflections on the image and the glass provoke once again our own self-reflection. 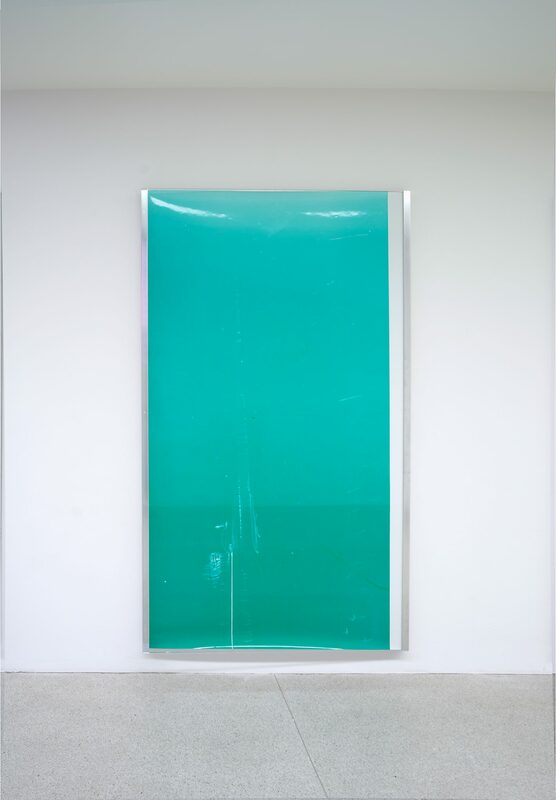 The artist too is confronted with himself when during the implementation of the work in the darkroom he arranges the film and the surface of the glass between the light-sensitive coloured photographic paper and the light source. Fluctuating between loss of control and perseverance, Burgener’s movements thus leave additional traces on the photograms. At the heart of the installation Untitled (2018) that fills the Salle Poma is Manuel Burgener’s interest in the direct intervention in the exhibition context. For this he poured latex milk, a natural product taken from gum trees, on the entire floor area. As soon as the liquid is dry a thin, elastic film forms that can be lifted from the floor. 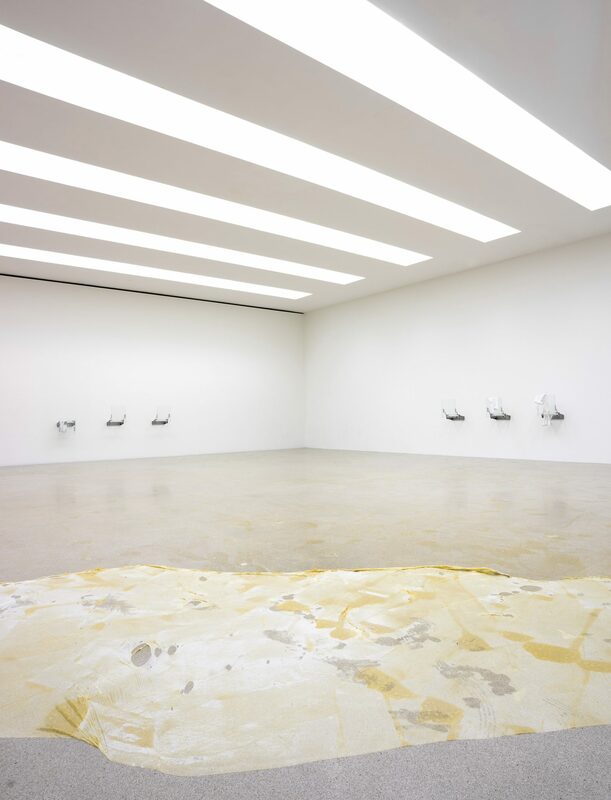 Dirt marks and the structure of the floor are absorbed, changing the surface texture of the material. Like an organic and at the same time synthetic mesh spanning the entire space, it is possible to walk on the membrane, drawing our focus to the architectural parameters. An ephemeral tophography unfolds which Burgener juxtaposes with what appear to be technical objects. 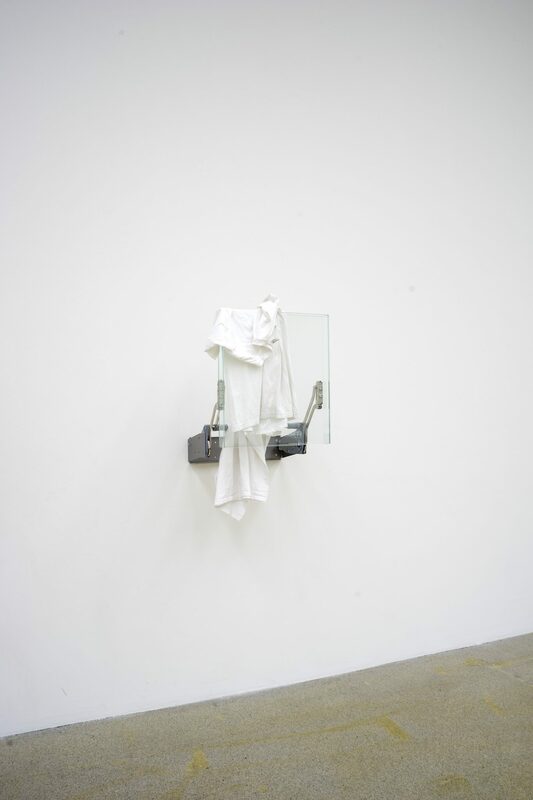 The series Untitled (2018), composed of brackets, sheets of glass and T-shirts, is attached to the wall of the Salle Poma. Mounted at various heights, the works create a direct physical connection to us. The strength of the sheets of glass corresponds with those of the vitrine in the corridor of Parkett 2. These stand open, without comment, symbolic of the artist’s intention of provoking in us a self-observation through his work. The artist’s book which is published on the occasion of the exhibition in collaboration with Edition Patrick Frey, is situated between a work of art and a catalogue. 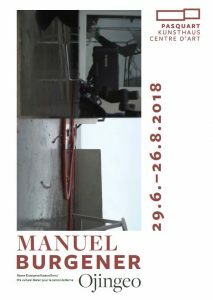 Manuel Burgener has used it to examine compressions between text and image, refusing established expectations and thereby bringing the essence of his work itself into focus.